Construction sites are naturally places that need to be cleaned up after projects have concluded. 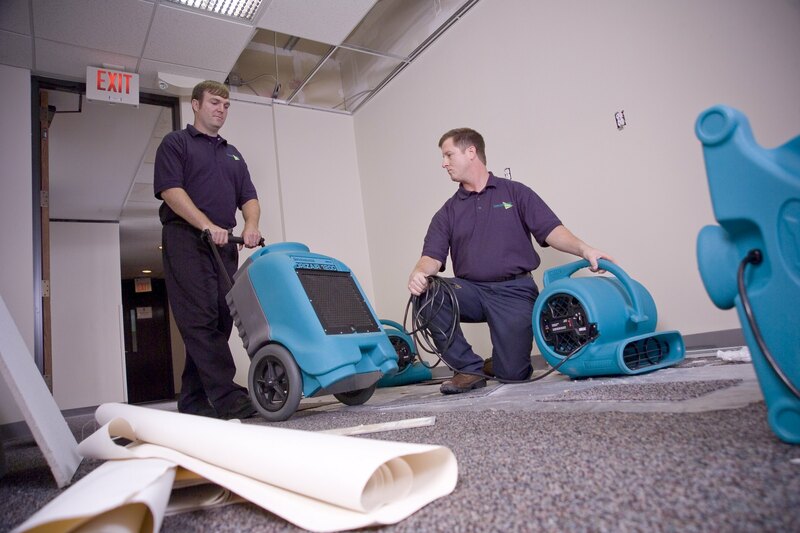 If you require post-construction commercial cleaning for any location in or around Chicago, trust ServiceMaster of Lincoln Park. Our team is well-versed in all the nuances of after-construction cleaning, and we will leave your construction area perfectly detailed. Call us today for a consultation with our top-notch professionals. Cleaning up an area after construction isn’t like cleaning a residential building or office space. It requires the expertise of those who understand how to properly and safely clean the job site. Additionally, the right types of cleaning products have to be used, or the site will not be thoroughly sanitized and stain-free. Our goal with all post-construction commercial cleaning projects is to leave your construction site in like-new condition. To do this, we make sure all our methods are secure, and our cleaning techniques are proven. The ServiceMaster of Lincoln Park crew members have advanced cleaning products and equipment suitable for all types of construction clean-up. You can feel secure about choosing us to get your location looking its best. After all, we look at every post-construction commercial cleaning project we do as an opportunity to make your construction work shine. As a professional post-construction commercial cleaner serving construction firms and remodeling contractors in the Chicago area, we offer you complete peace of mind. Our work is guaranteed, and everything we do is appropriately licensed and bonded. We’ve been around for years, and we can provide you with client testimonials. Just ask when you call us for a quote! Instead of trusting your after-construction cleaning services to an individual or organization without experience in this type of specialty cleaning, always opt to work with commercial cleaners who can get the job done efficiently and cost-effectively. Are you seeking green cleaning options as part of your needed after-construction cleaning services? ServiceMaster of Lincoln Park offers several proprietary cleaning products that are also environmentally-friendly. If preserving the ecosystem and reducing VOCs is important to you and your clients, please call us today. We would be pleased to share our green cleaning options with you and to quickly give you a cleaning quote for your construction site clean-up job. Most people think that all construction sites are going to be a little dirty post-construction. It’s time to surprise your clients and give them something positive to talk about! ServiceMaster of Lincoln Park’s objective is to get all our after-construction cleaning sites as sparkling as possible. This leaves your clientele much happier, which can translate to exceptional word-of-mouth marketing opportunities. Give yourself a boost among your competition by hiring only the best construction clean-up professionals in the Chicago market. Contact ServiceMaster of Lincoln Park and discover why we’re the preferred after-construction cleaners for so many businesses.